These melt-in-your-mouth, naturally gluten-free coconut cookies are a longtime favorite of mine. The original recipe calls these macaroons — and a classic macaroon photo adorned the card, hooray stock photography! 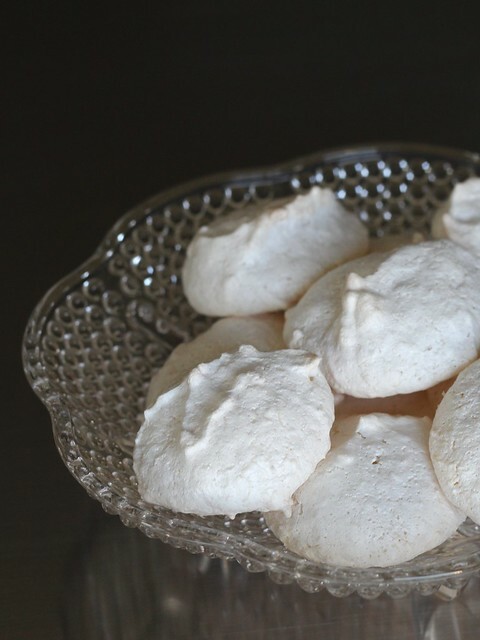 — but following the instructions definitely yields a cookie that’s far more crisp, airy and meringue-like rather than one that’s totally chewy and dense. In other words, they’re very unique and especially difficult to stop eating one after another — if you’re a fan of coconut, that is. You can use sweetened angel flake coconut here, but the very fine unsweetened stuff creates an even better treat that’s still plenty sweet. And while too fragile to ship, they do store very well in the freezer and are just as tasty eaten straight out of icebox (I actually prefer them this way). Preheat oven to 300°F. Line two large, rimmed sheet pans with parchment paper or silicone baking mats; set aside. In the bowl of a stand mixer fitted with whisk attachment¹, combine egg whites and salt. 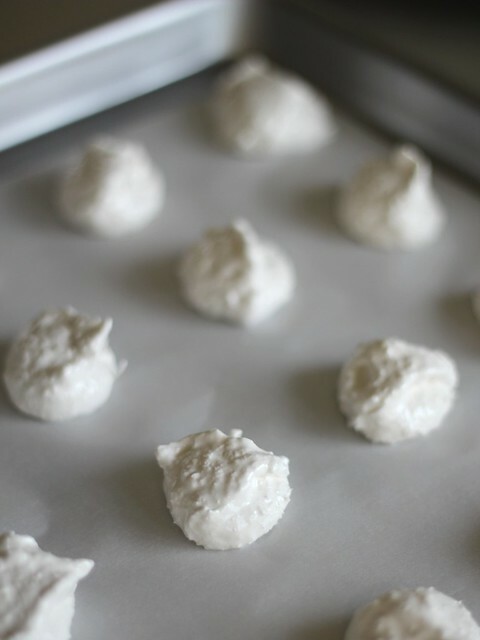 Beat egg whites until they become frothy. Add lemon juice and beat on high until soft peaks form. Continue whipping, gradually adding sugar until stiff peaks are achieved. 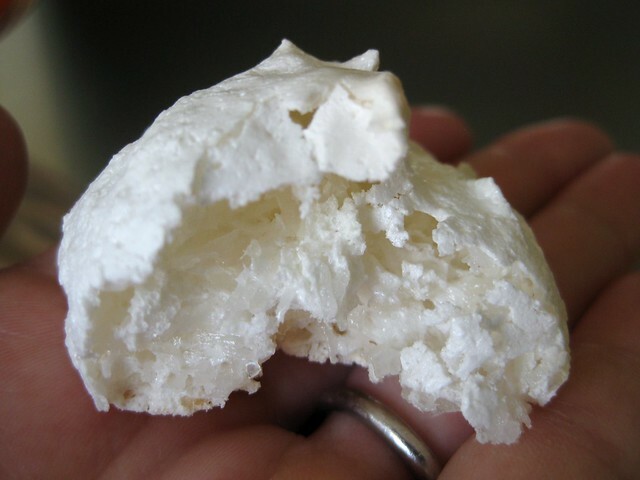 Fold in extracts and coconut. Onto prepared baking sheets, scoop 1 tablespoon of batter per cookie leaving about 2 inches of space between each. Place sheets, one at a time, into preheated oven. Bake until lightly golden on the bottom, about 15 minutes. Cool for a couple minutes on baking sheet before transferring to cooling rack. Serve or wrap up once cooled completely (they freeze very well and taste great frozen!). ¹ Can also be made by hand with a balloon whisk or with a handheld mixer.